AmDTuning.com with Cobra Exhausts has today announced plans to expand its involvement in the Dunlop MSA British Touring Car Championship for the 2018 season after agreeing a deal to run a pair of MG6 GTs. The deal to run the MGs – which have been among the most successful cars of the NGTC era – will see the team field four cars this year, with Ollie Jackson and rookie Sam Smelt already confirmed in the existing Audi S3 Saloons. Talks with potential drivers to fill the two vacant MG seats are currently ongoing, with further news to be revealed in the coming weeks. The two cars and the TBLs required to run them have now been transferred to the West Thurrock-based team, with the approval of TOCA, and work already well underway to prepare for pre-season testing and the opening rounds of the season at Brands Hatch in early April. “We have already started work on a development programme with the cars to ensure they are ready and raring to go, and are in talks with a number of potential drivers about filling the two seats. 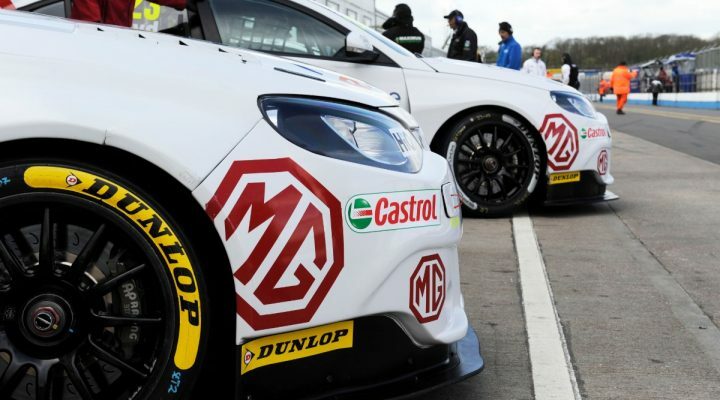 The new livery for the AmDTuning.com MG6 GTs and the team’s full sponsor list will be revealed at the annual Season Launch at Donington Park (27 March).